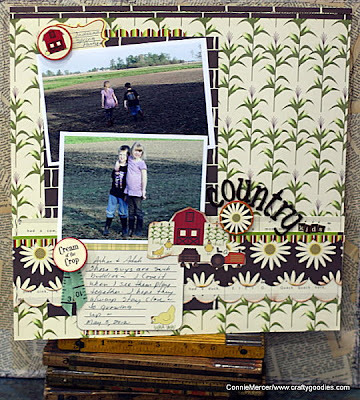 crafty goodies: Try it Tuesday~Jillibean Soup and an old canvas!!! Try it Tuesday~Jillibean Soup and an old canvas!!! 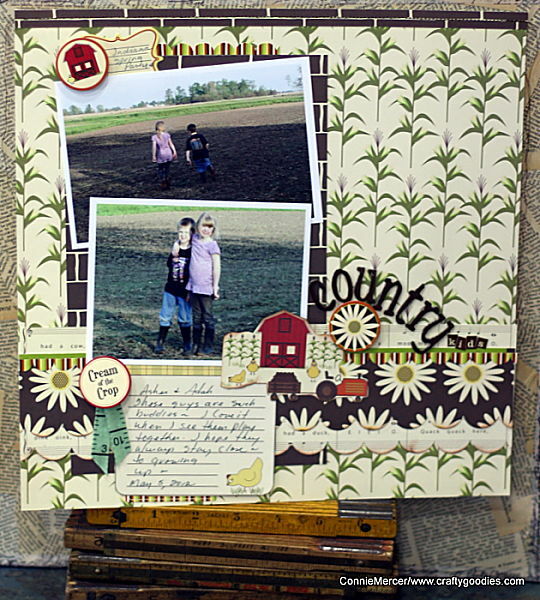 This is a layout I did recently, I was inspired by the pictures. 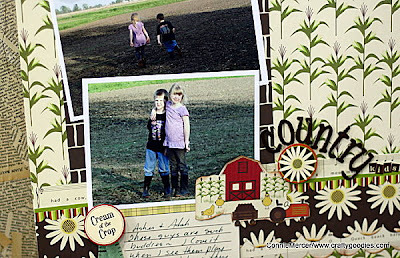 Love those little country kids!!! I used some old Jillibean soup that I thought was a perfect fit for the pictures. 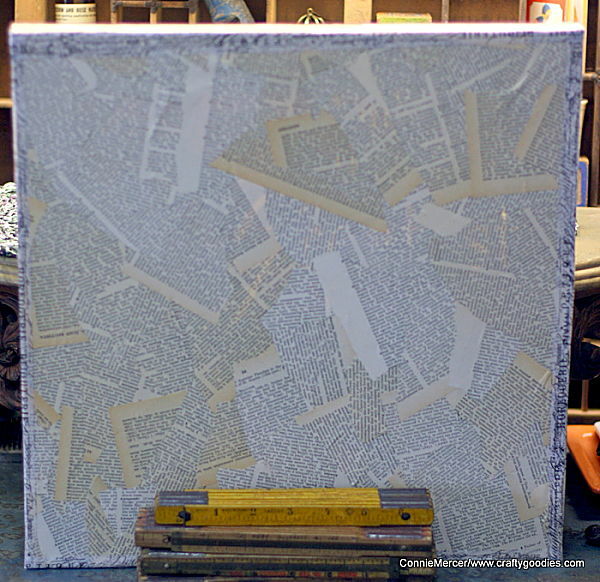 I also did a new background canvas to use when I photograph my work, you can see a little of it. The canvas size is 14"x14" perfect background for layouts, cards or altered projects. All I did was cover with Helmar decoupage and old dictionary pages. 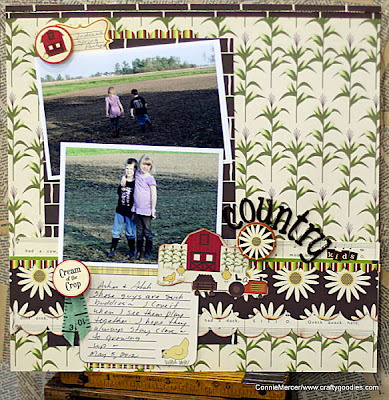 I then framed it out with Tim Holtz tissue tape. Only took a couple of hours to make~so don't throw out old canvas's!! Have a great day and I'll see ya soon!! I can already tell this week is going to go by fast!!!!!! what a great layout!! the photos are just too cute!! and the paper is just perfect! Perfect page. love how it all flows together. 14x14 never tried that one. totally awesome - as always!!! Beautiful LO and I love what you`ve done with the canvas! Yes, those papers definitely are perfect for your photos, Connie! Such a great page (and canvas too)! 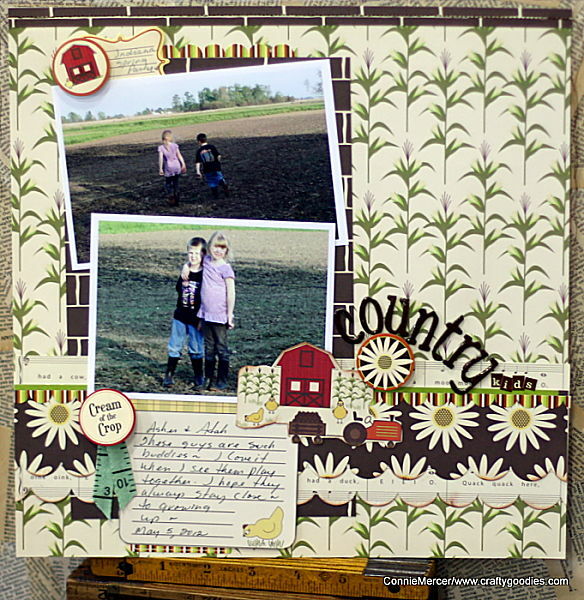 That is a great idea, love your adorable layout with adorable products! What a terrific idea ! I love the background canvas you made!! Loveeeeeeeeee your lo!! LOVING the photos, the colors and loveeee the title!! And great idea to use the canvas! !